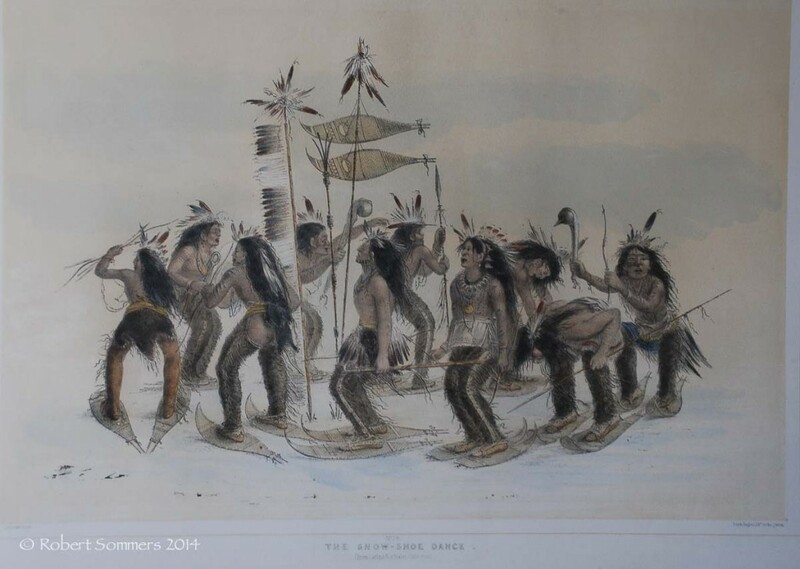 George Catlin (1796-1872) The Snow Shoe Dance, Ojibwa handcolored lithograph, 1845 14 x 20″ sight. Period frame. p.o.r.